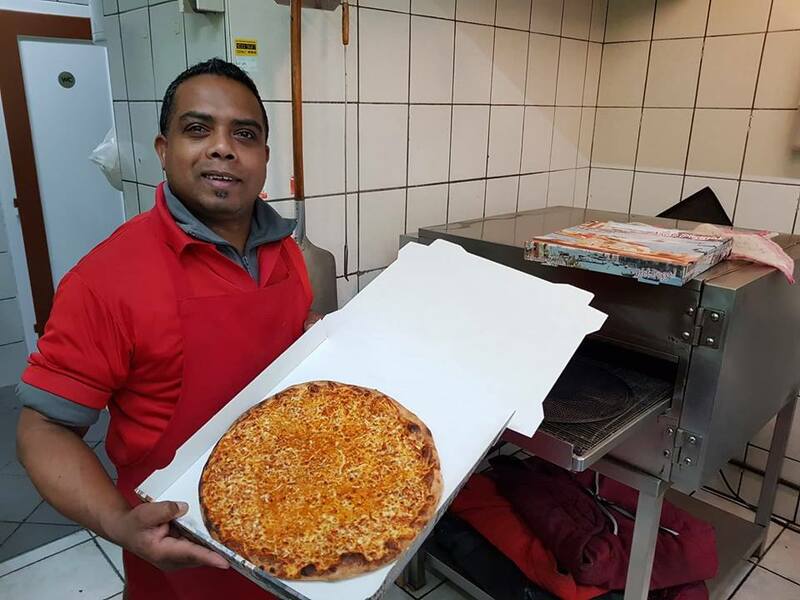 If you are in Vienna and you need a Pizza we are here for you. The #steemit-austria community love the Pizza Margherita! :) Thank you for writing about it. We are happy that you liked the 10 pizzas, which we sponsored at the last #meetup. 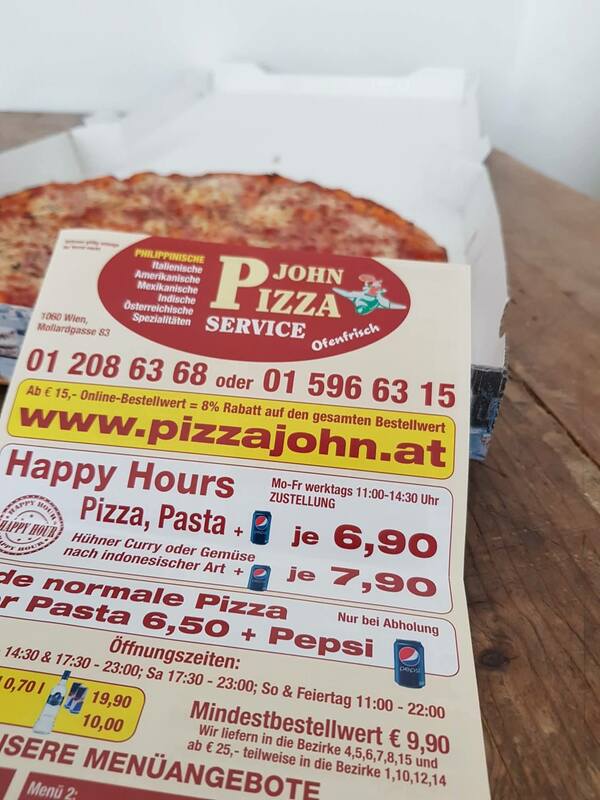 Especially a big thanks to @smartcoins who wrote an own story dedicated to @pizzajohn in german. He offered also to create a bot to upvote the steemians who order @pizzajohn. This is a great idea! We are looking forward to see how it works. 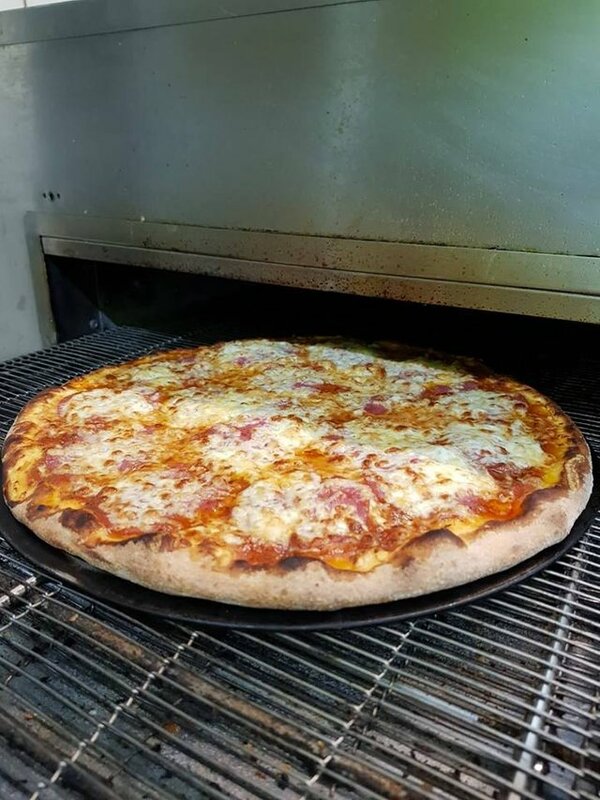 This is the Pizza Italian. @jnmarteau and @manncpt sometimes order this one. When they are working at the @opt2o HQ, the Hug Inn Vienna, which is right around the corner of @pizzajohn. Colle Sache . Die Webseite ist gespeichert. Bin im 15. Bezirk zu Hause. Bin gespannt ob man seine Bestellung irgendwann mit Steem bezahlen kann. Oh no, now I wish to buy some pizza in my town - this one looks so tasty! By the way, do you accept cryptocurrency for this sweet pizzas? Hello and welcome to Steemit. I'm still a beginner, I follow you and I hope you too will follow me, I'm glad to new acquaintances. 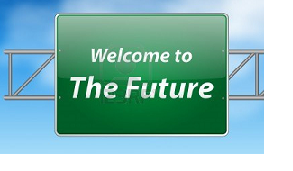 I wish good luck in the development of your blog!